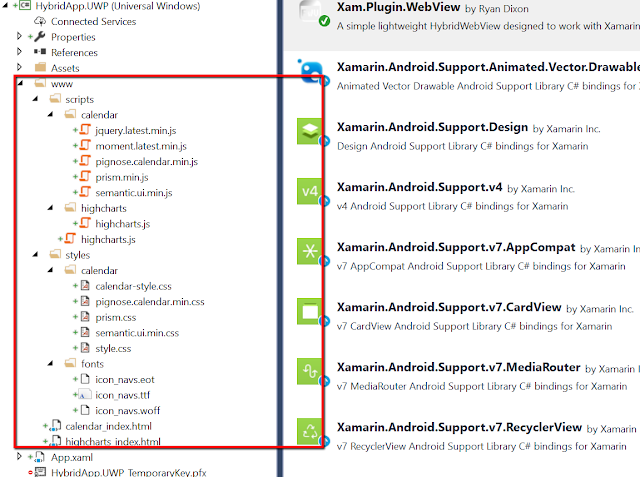 This has always been a common approach if you do Cordova or PhoneGap and it should do a great job for simple apps that doesn't rely too much platform specific feature, The question is why should we do it in Xamarin? Or what scenario would persuade us to use hybrid approach? Be aware that Xlabs project is no longer maintained. 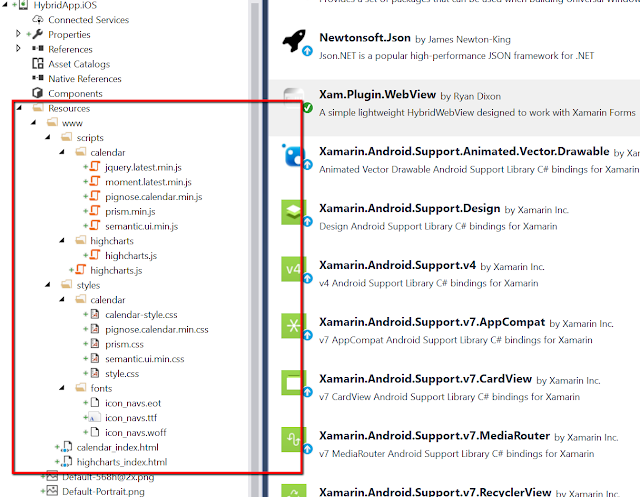 It may NOT work with newer versions of Xamarin.Forms. Though it has done a great job i am not recommending it for use because its somewhat bloated, things that we are not gonna need. 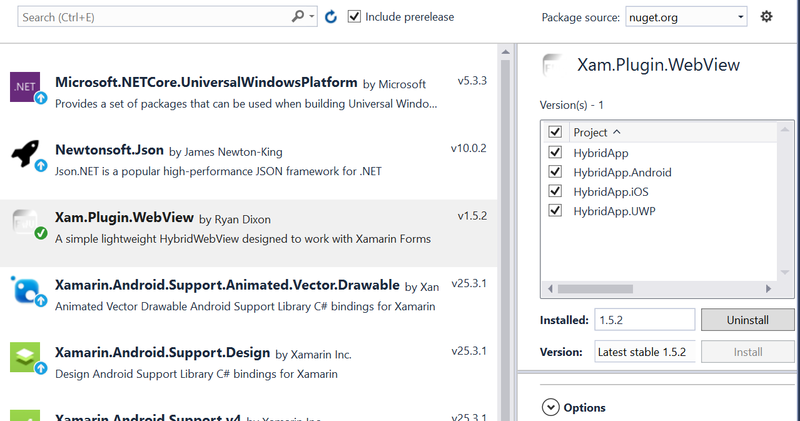 Fortunately for us i have found this lightweight HybridWebview library thanks to Ryan Dixon. 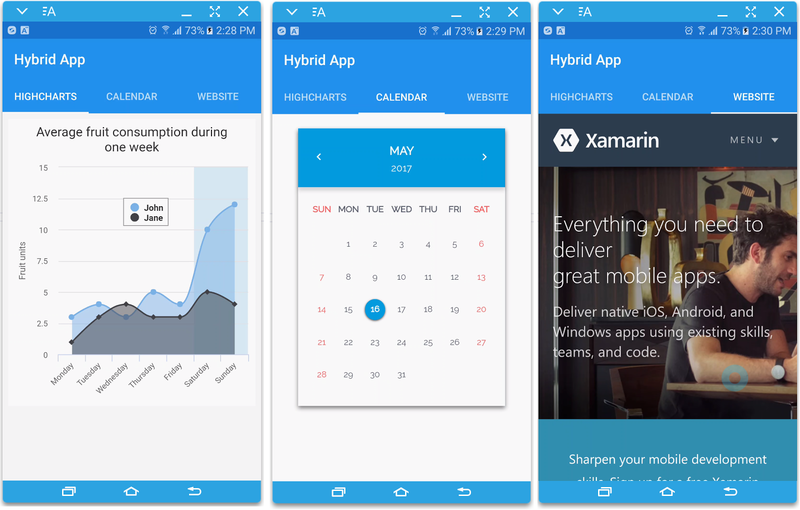 Now we should be able to do Hybrid apps, Later we will discuss how to setup our web files per each platform, I will provide two examples, First is we will gonna use Highcharts and second we will gonna use Pignoise calendar. 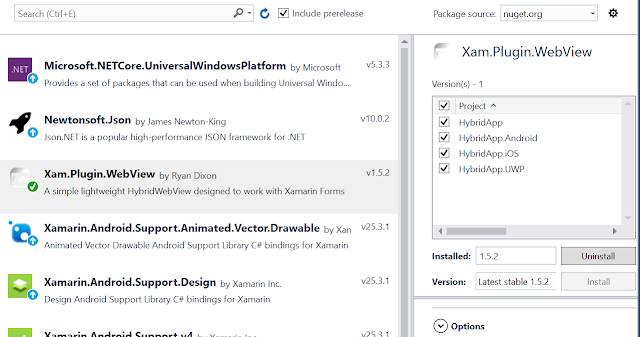 This libraries along with hybridwebview is a better alternative if you cannot afford a pricey libraries from known component vendors (you know them), Though they have done a great job in bringing this native component it is of course your choice. If you want to know the details how the communication between your page and your Backend explains so much in this documentation. First thing you should do is to register a callback using RegisterLocalCallBack method (the complete documentation and source code can be found here). 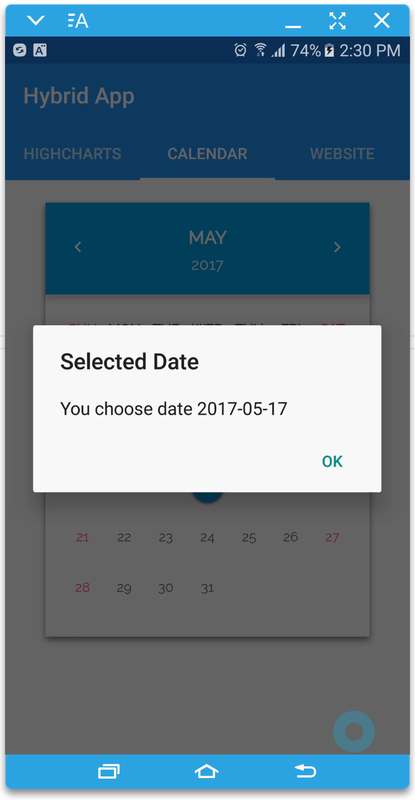 In our case we use the calendar selectdate method(to call backend method). 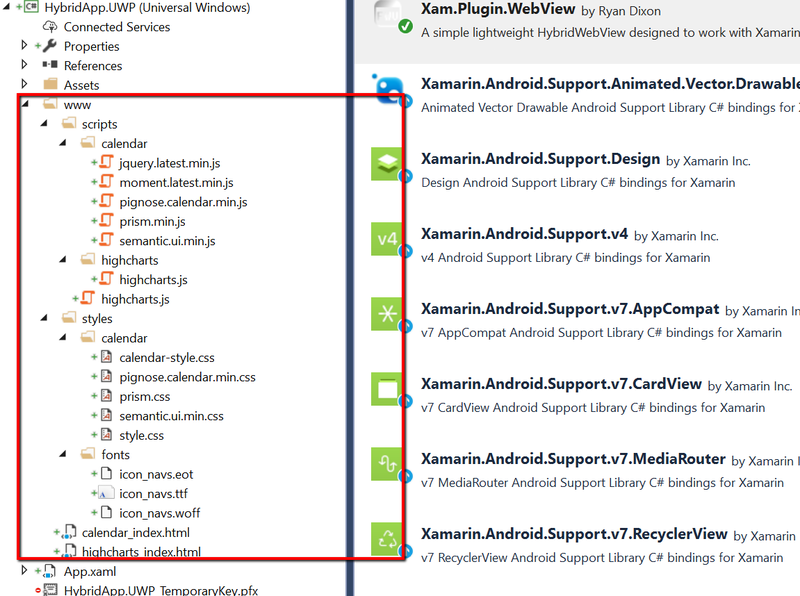 Here is the minimal reason in my case that if we do hybrid we should do it in Xamarin.Forms rather than Cordova. It’s performant; it compiles down to native. Implements most logic in C# with minimal amounts of native code specific to Android or iOS. Doing native is not always the silver bullet, there were times we need to do simple stuff to accomplish the needed business needs. 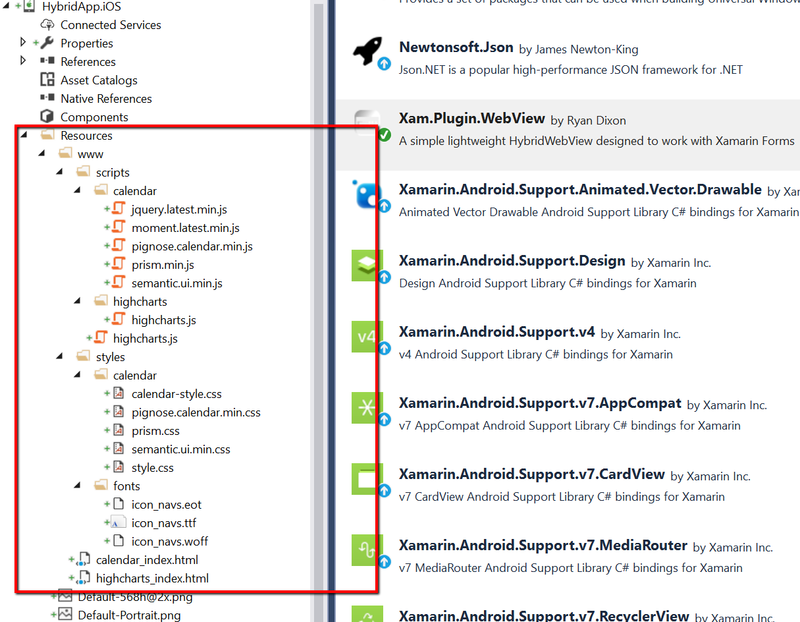 But Xamarin.Forms can always do both if it needs to. I hope this article have helped you. If you want the full sample source you can check it right here LINK. This is extremely helpful info!! Very good work. Everything is very interesting to learn and easy to understood. Thank you for giving information. Good Work. Keep it up! 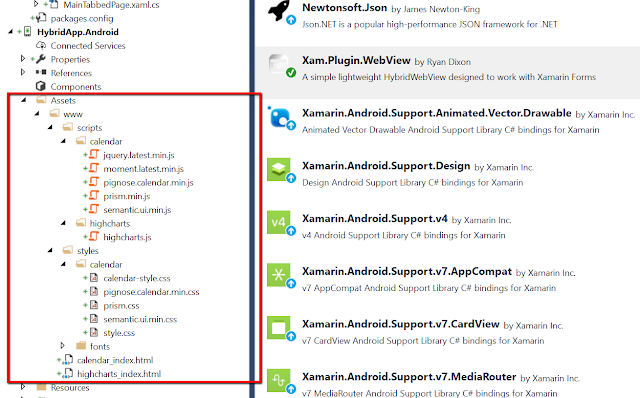 Technically speaking, it is the shared code base which makes it possible to combine all platforms into one single app.